Designed to Synchronise movement of two actuators. Low current motor controller kit is perfect for basic remote motor control. 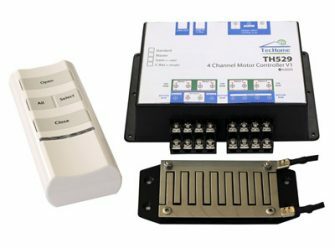 The TH709 kit is easily integrated with TecHome products, allowing easy remote control of our range of 12V linear actuators. 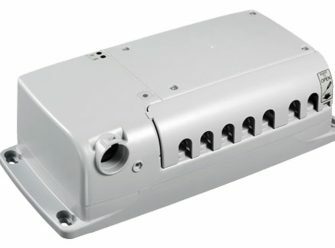 A remote controlled Multi Bank motor controller which can control up to four motors in sequence, with the added feature of both electronic under & over current protection. With high intelligence, this controller has the parameters to detect obstructions and end of travel limited to protect the motors and linkages. 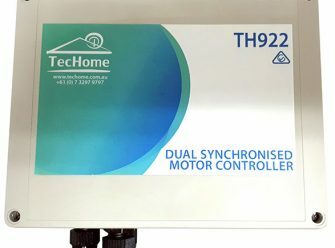 Designed and manufactured in Australia, the TecHome TH528 is a remote controlled 2 bank motor controller that is easily integrated with our range of linear actuators. A remote controlled Multi Bank Opening Roof/Louvre motor controller which can control up to four motors in sequence, with the added feature of both electronic under & over current protection. With high intelligence, this controller has the parameters to detect obstructions and end of travel limited to protect the motors and linkages. The TC10 Quad Motor controller can control up to four motors at the same time. Perfect for applications such as opening windows, hatches, raising platforms etc. 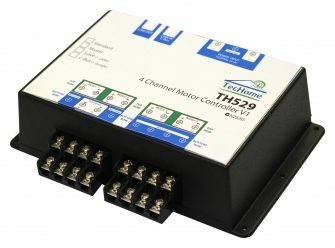 Designed and manufactured in Australia, the TecHome TH528-2 Control Kit is a remote controlled 2 bank motor controller that is easily integrated with our range of linear actuators. 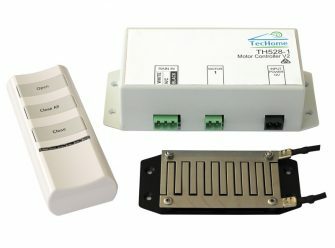 TecHome provides wireless control products and customised control solutions to a broad range of industries including the pool and spa, blinds and shutters and lighting industries. We specialise in heavy duty products for industrial and agricultural applications and we also provide customised solutions for home owners who want to control one item within their home, or integrate multiple devices into one home automation system. TecHome has developed a long-range, multi-channel, remote control and receiver suite. 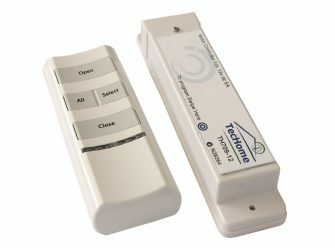 The remotes are Australian designed and manufactured, available in three styles, customisable and can be printed with your company logo. Each remote in the range integrates with other control systems or can be used as standalone products. 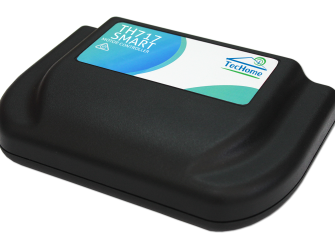 TecHome’s sensors and motor controllers are designed to integrate with Techome’s range of remotes and receivers and interface with home automation systems. 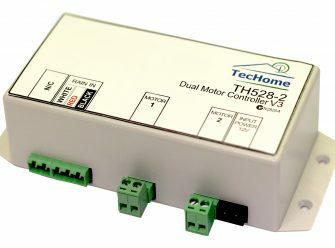 The motor controllers are ideal for controlling louvres, blinds and opening roofs. Our products are of the highest quality and are customised locally, allowing us to offer our customers a complete service including Australian-based technical support. 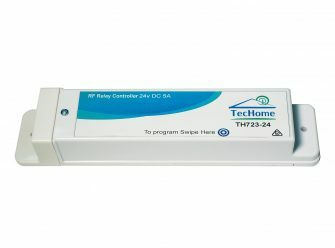 At TecHome we make it simple and affordable for you to control any device within your home or business.